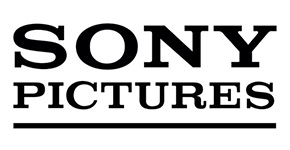 By now everyone in the world knows that Sony Pictures just experienced, quite possibly the largest hacking attack, infiltration of any entertainment company ever. A hacker syndicate calling themselves Guardians of Peace or #GOP made off with thousands and thousands of files, passwords and the big score, the full digital versions of upcoming Sony Pictures releases. As everyone knows the Holiday Season is usually one of the biggest for a movie studio the size of Sony and now their season has been severely compromised. The Interview, the Seth Rogen flick about North Korea is one of the movies that was stolen and immediately leaked on torrent sites. Many feared it was that particular movie that caused the hack in the first place. The North Korean government denies any involvement in the hack but praises the hackers for doing it. In addition Saturday Night Live naturally took a huge stab at Sony Pictures in a skit this week featuring this weeks host (and Rogen’s costar in The Interview) James Franco. Franco is delivering the monologue when Rogen comes running onto the stage and tells Franco that the latest release from the hackers is pictures from their cell phones showing Rogen and Franco in compromising positions. Out of all of this the real problem lies with Sony. This isn’t the first time Sony has had a major hack. In 2011 millions and millions of Playstation Network members had their credentials and accounts compromised. It’s apparent Sony didn’t learn anything from that incident. What has many people thinking Sony deserves the lost revenue from the leaked movies is the fact, that according to several sources including geek.com, Sony stored important passwords, including the passwords protecting those movie files, in a folder calls, “passwords”. A rookie error from a veteran technology company. This incident tops off a string of bad years for the Japanese firm. Their sales numbers across a number of business units have been off. They’ve sold their computer business and spun off their television business. We will see next month in Las Vegas if they’ve got what it takes to recover.